Just think - the wholesome goodness of Quaker Oats packed with the rich tastes of maple and brown sugar Instant Oatmeal - in just 90 seconds! 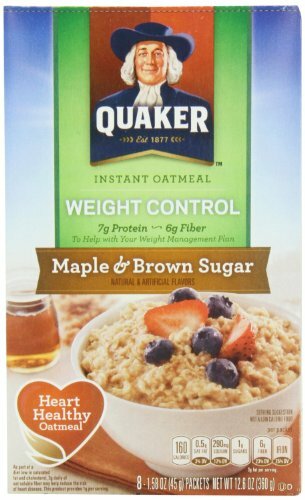 Savor the classic flavor of Quaker Instant Oatmeal Maple & Brown Sugar any time you want. Just because you've got a busy day doesn't mean you don't deserve all the goodness Quaker has to offer. Made from 100% whole grain oats. Good source of calcium, iron and essential vitamins and minerals. Evoke Healthy Foods Super Muesli, 12 Ounce - 6 per case.